All termites are not created equal, so it’s important to identify the specific breed that’s plaguing your home. Once you know what kind it is, you can take the proper measures eradicate them. Different parts of the country are home to different termites. There are a couple types of termites in Pennsylvania that might be the culprit of serious home damage. 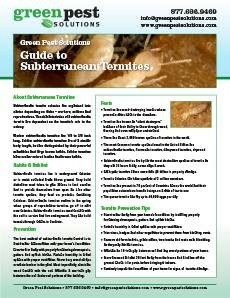 Eastern subterranean worker termites are small in size, about the size of a pencil point or 1/8″ long and are soft-bodied insects. They have no wings, are sterile, blind and work 24 hours a day for their entire two-year life span. Sound exhausting? You might be the one tired from working to fix up your home after their damage if you don’t exterminate them as soon as possible. Drywood termites are not native to Pennsylvania, but they can be found far from their usual habitat by hitching a ride on wood products. Don’t count them out quite yet! The Termite Infestation Probability Zone, as the name suggests, is a system that identifies the probability of a termite infestation in your specific area. Pennsylvania is in TIP Zone 2, which indicates there is moderate to heavy termite activity here, and the possibility of a termite infestation is significant. This is valuable for potential homeowners to know for inspection time and for homeowners who want to maintain a termite-free zone. No matter the type of termite, it’s important you get rid of them as quickly as possible; they act fast and their destruction is expensive to repair. 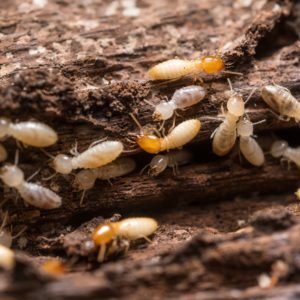 If you suspect termite activity in your home, contact the knowledgeable exterminators at Green Pest Solutions to prevent these pests from further damaging your home. Call us today at 877-636-9469 to schedule a free estimate.